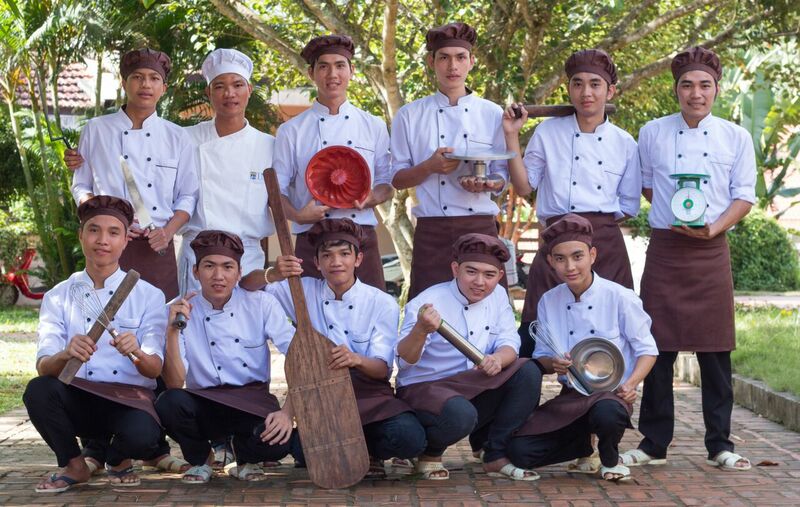 The Hue French Bakery & Pastry School or La Boulangerie Française de Hue aims at lifting young underprivileged Vietnamese (17 to 22 years old) from the Hue region out of poverty, by offering them a quality professional training in the promising sector of bakery-pastry, as well as the means to a successful professional and social integration and a better future life After 20 months of training, all students master a wide array of production techniques to make French and international breads, pastries and cakes and are hired by high-end hotels in Vietnam. 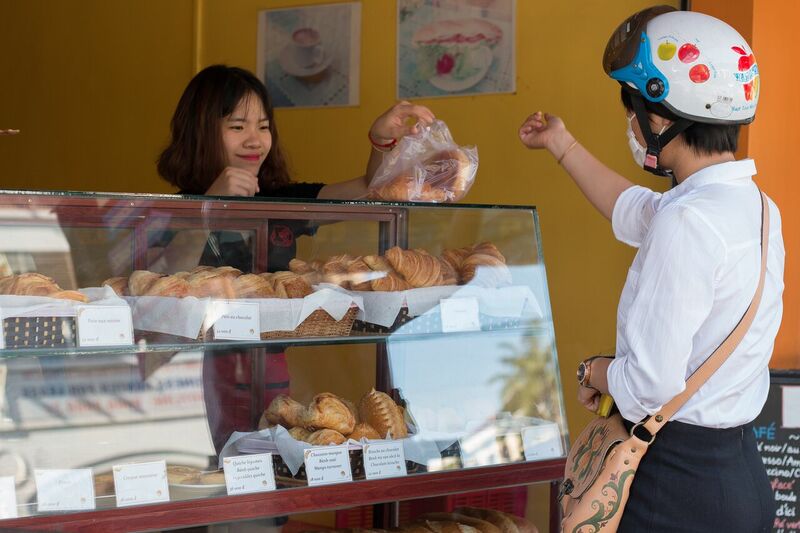 Every day, the trainees prepare baked products that are sold in the school’s coffee shop, which is located in Hue’s city-center – at 46 Nguyen Tri Phuong. 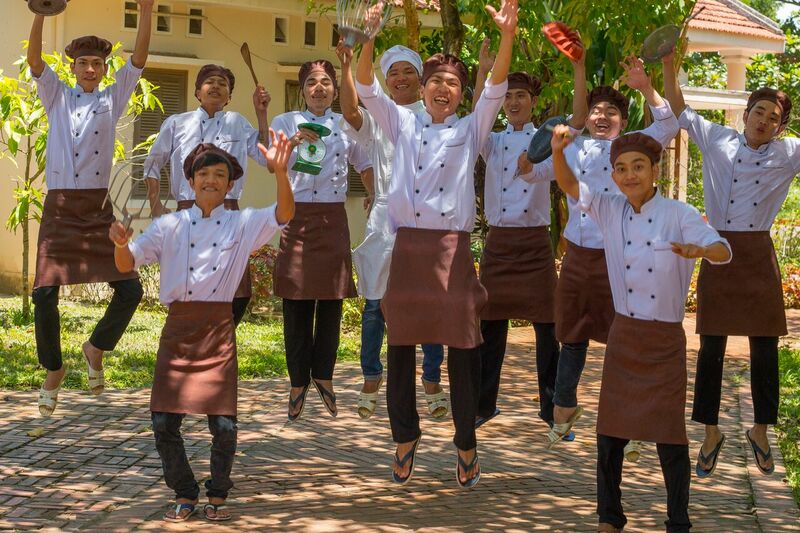 The income generated is entirely invested back in the school and allows to pay for the training and the daily living expenses of the trainees at the SOS Village. 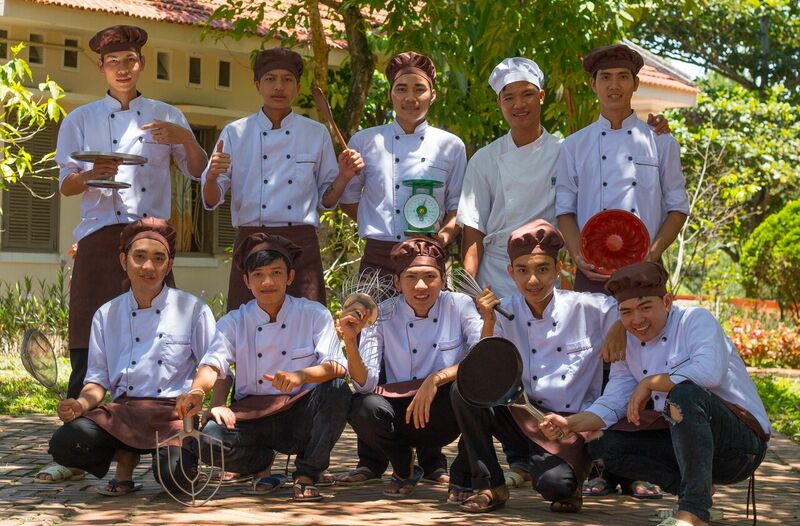 This School is thus a true social enterprise. All students are boarders in the school, so as to provide them with a complete education in the best conditions, and to extend the recruitment to the whole Province. Having only one lodging building, the school could only open to boys so far. In this structuring and peaceful environment, students benefit from educational support and technical training. Build new premises. So as to extend and make its action durable, the School needs to invest in the construction of a new centre where the trainees will be hosted and trained. Reinforce the quality of the training. 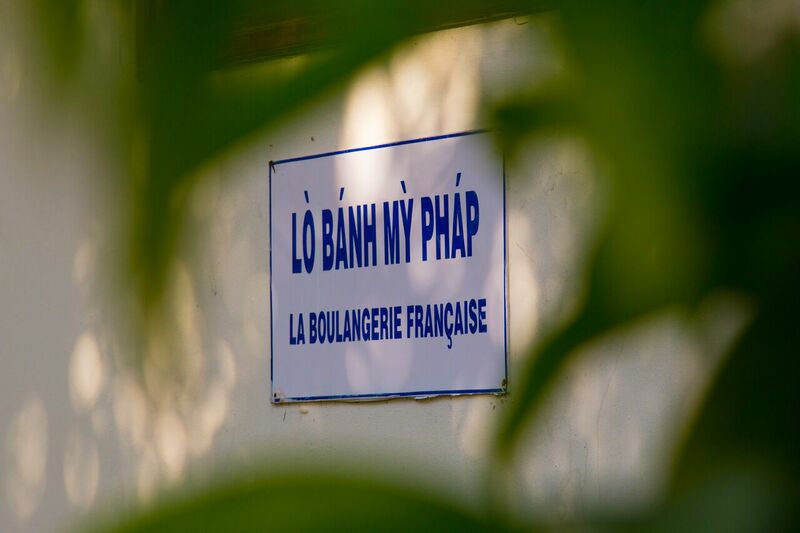 Changes in the scale of The Hue French Bakery & Pastry School must come with a continuing quality and a structuration progress of its activities. IECD will provide its support in areas such as the students’ follow-up, the mobilization of external expertise or the creation of partnerships and twinning processes with other schools, with the aim of getting formal recognition of the training. 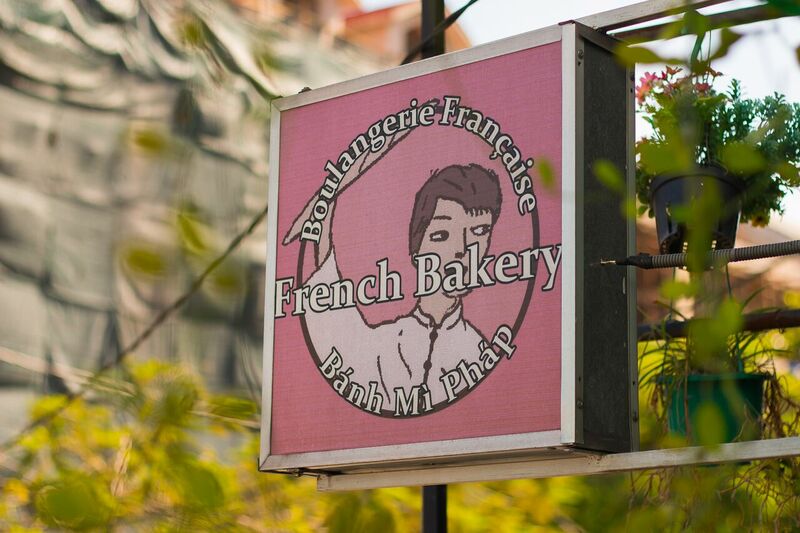 The Ho Chi Minh City French Bakery & Pastry School / La Boulangerie Française de Ho Chi Minh Ville is inspired from the Huế French Bakery & Pastry School, also supported by IECD since July 2015 and that has successfully trained more than 80 students since 1999. 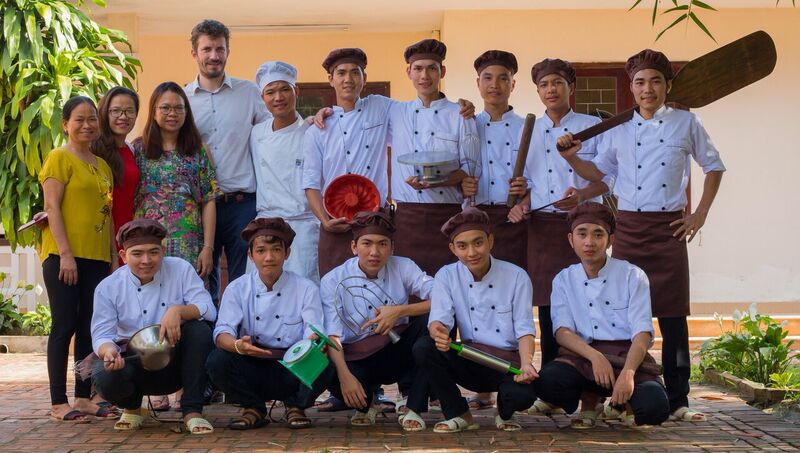 Thomas Behaghel, IECD Director of Operations for South East Asia, has been one of its founders and nowadays 95% of former students graduated from the Huế school of French Bakery and Pastry are still working in luxury hotels and high-end bakeries across the whole country with a salary often higher than the average wage observed in Vietnam. 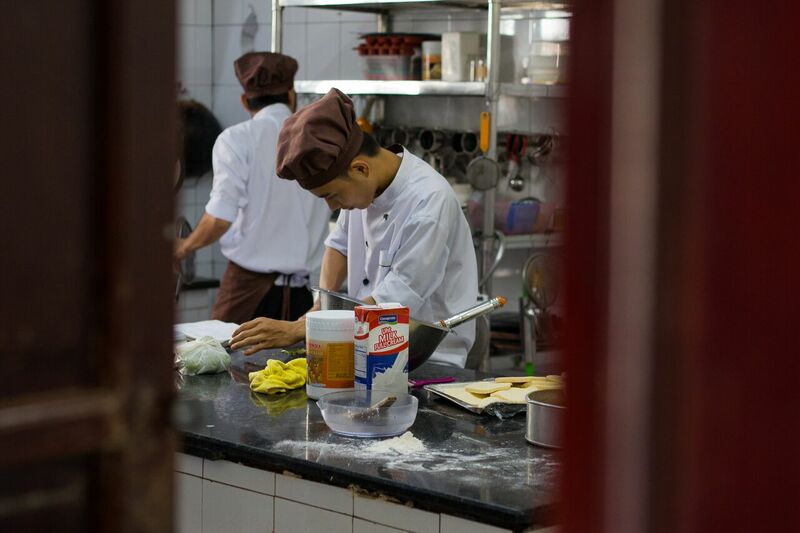 The Ho Chi Minh City French Bakery & Pastry School is a cooperation project between IECD (European Institute of Cooperation and Development) and TDC (Thu Duc College of Technology). 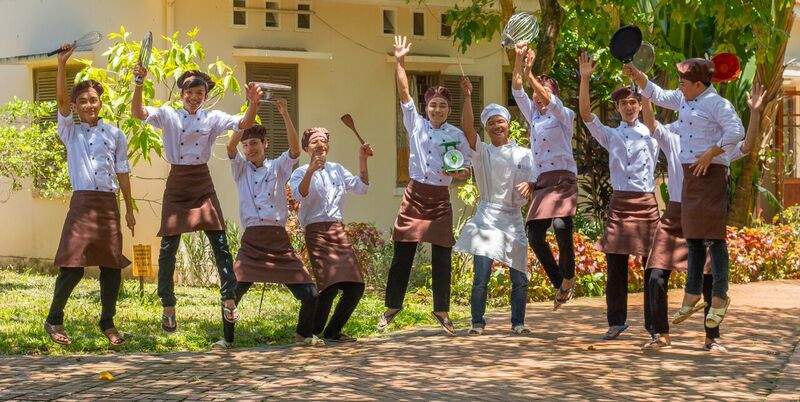 It is a non-profit initiative created in 2016 based in Ho Chi Minh City in TDC Campus (Thu Duc District) dedicated to Vietnamese vulnerable youngsters and their future employment through an intensive training in Bakery and Pastry at the highest standards of qualification, English and Life skills lessons. 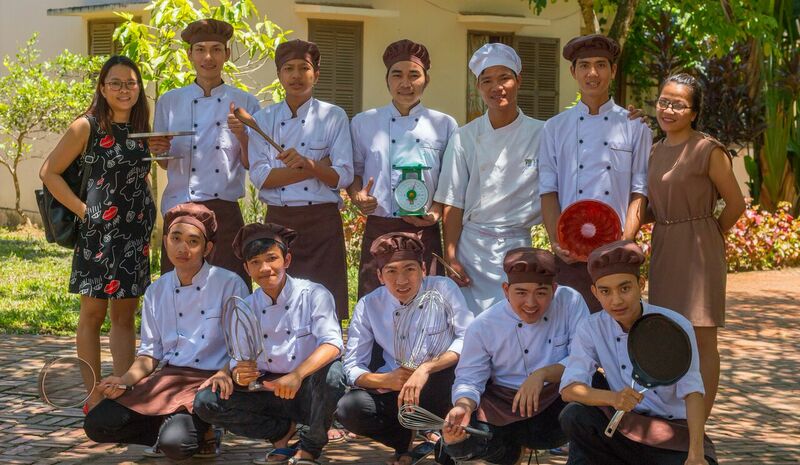 To ensure its economic sustainability, the Bakery & Pastry Training Center operates as a social enterprise since early 2019 and, thanks to the sale of products made by apprentices (breads, baguettes, croissants, chocolate rolls, viennois…), aims to be able to finance itself (operating costs) at more than 90%. 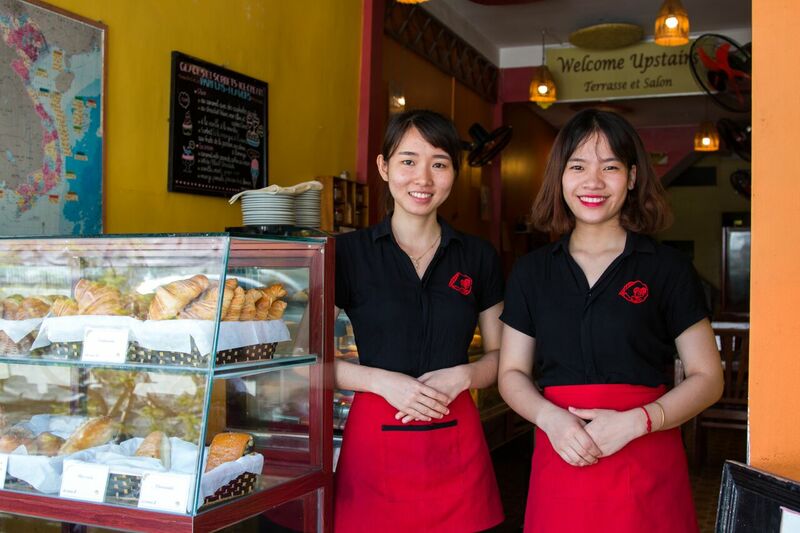 The Training Center is running thanks to an outstanding team of motivated and skilled people composed of a Project Manager, a Pedagogical Coordinator, a Bakery Expert, a Bakery Trainer, and a Sales & Logistics administrator. Building or renovating adapted facilities with complete equipment for the technical training. 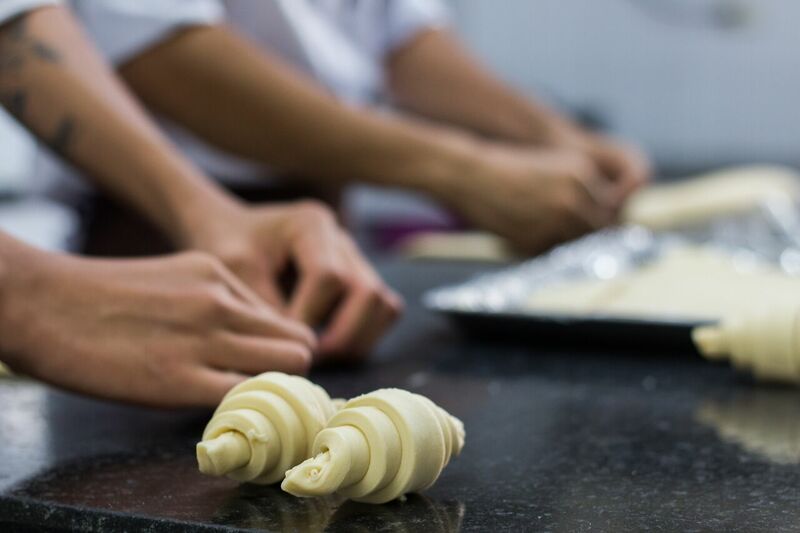 Providing a high-quality training in bakery and pastry trades to at least 20 youths per year, with a focus on curricula design and recognition. 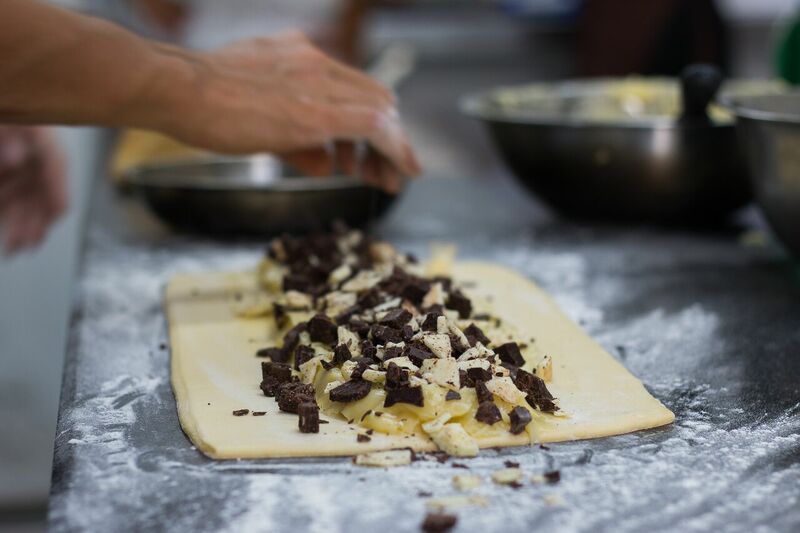 Ensuring the sustainable viability of the school by creating commercial opportunities for bakery and pastry products as well as employment opportunities for the students. 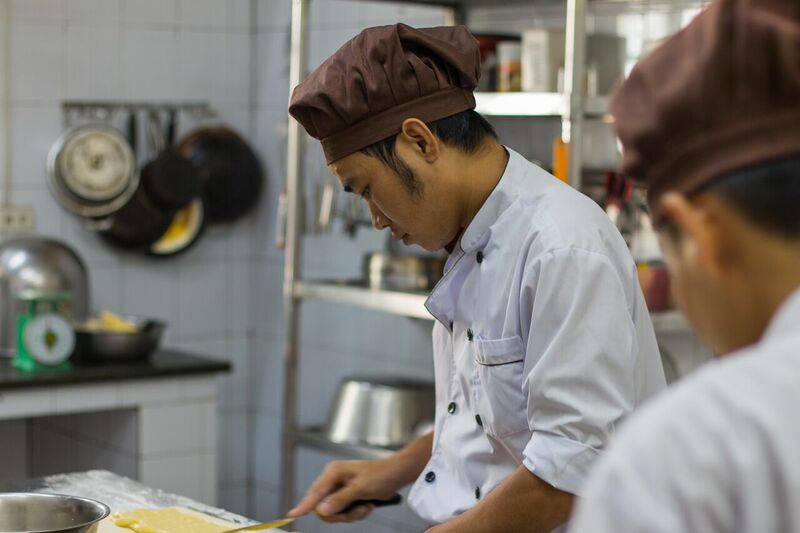 The Training Center is located inside the campus of the Thu Duc College of Technology, an established Vietnamese public technical college and provides high quality training using a brand-new facility (Building and Equipment). Excellence and highest quality standards drive our training program. 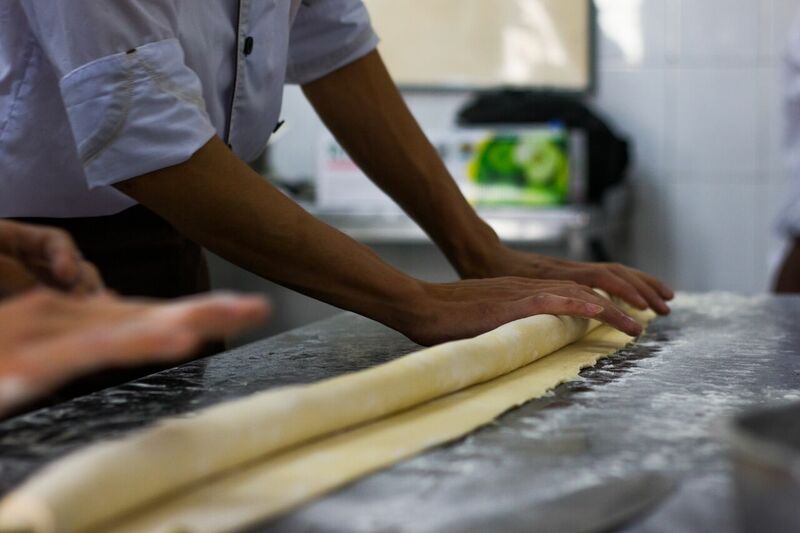 Our beneficiaries are trained according to the pedagogical curriculum used in France for Vocational Training Degree in Bakery (CAP) with the principle of an additional qualification in Pastry through the learning of certain basics (Macarons, Pâte à Chou, Pies, Cookies…). 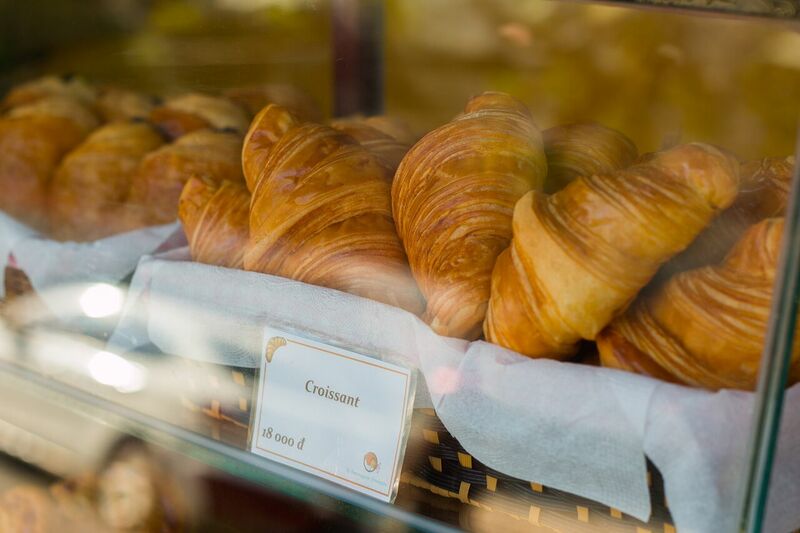 The Training Centre is led by and benefits from the support of a group of passionate and highly skilled professionals in Bakery and Pastry with previous experiences in some of the best Bakery/Pastry schools in France (National Institute for Bakery and Pastry (INBP), Les Compagnons du Devoir…).